Certain cities and jurisdictions (including New York) labeled “sanctuary” cities have been accused by the Trump administration of violating federal immigration statutes and interfering with the federal government’s initiative in removing “criminal” illegal immigrants from the country. As a result, the Justice Department has warned these cities, counties, and states that they risked losing federal funding. Several—including New York, Chicago, and Philadelphia—have responded that they are not in fact violating federal law, as federal statutes not only do not require cities to collect this kind of information from its citizens, but providing this information would violate the U.S. Constitution. Some have also pointed out that by not seeking immigration status information from innocent victims, cities are working to establish trust between law enforcement and immigrant communities. The law at issue in this dispute is 8 U.S. Code §1373 – Communication between government agencies and the Immigration and Naturalization Service. It bans local governments from enacting policies that restrict communications with federal immigration authorities concerning information that pertains to citizenship or immigration status of individuals. Detainers are sent by Immigration and Customs Enforcement (ICE) agents requesting that an individual be held in custody for an additional 48 hours beyond their expected release in order to give ICE agents the chance to take that person into federal custody for deportation. New York City authorities raised issues surrounding immigration detainers in their response, pointing out that courts have found compliance with civil detainers filed by ICE to be voluntary. New York’s Corporate Counsel also pointed out that only when an individual has been convicted of a violent or serious crime or identified as a possible match in the terrorist screening database do city officials respond to ICE requests for information about a person’s expected release date. New York’s Corporate Counsel also pointed out that, in fact, the city has a confidentiality policy which protects individuals from having their private information (such as their immigration status) released to third parties (except under very specific circumstances). Any federal law which is used to undermine the City’s sovereign power would arguably be a constitutional violation. Ironically, one of the federal grants at risk of being withheld in association with this battle is the Edward Byrne Memorial Justice Assistance Grant Program, which was named after a New York City police officer who was killed while protecting an immigrant who was cooperating with law enforcement. 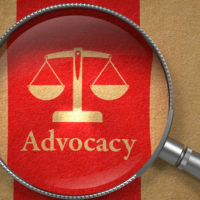 Other jurisdictions asked to certify compliance include California, Chicago, Clark County (Nevada), Connecticut, Cook County (Illinois), Miami-Dade County (Florida), Milwaukee County (Wisconsin), and New Orleans. If you or someone you know has been arrested in violation of their civil rights and is facing deportation after being labeled a criminal, you should speak with an experienced criminal defense attorney right away. We can help. Phillip J. Murphy has been assisting those unjustly accused of crimes throughout New York and New Jersey for more than 25 years. Contact us today for a free consultation.